Just what kind of crime scene is this? There was nothing about that morning on December 2, 2011 that was like any morning in my life. Today is different. I had so many questions struggling, and swirling between thought, and emotion that finding a lucid place to start was a problem. Now I’m far more fixated on the answers that have never been very forthcoming, if they have come at all. They are for the most part simple answers, but even a simple yes or no has developed a degree of impossibility. And one small group of questions that must have answers, but do not, is what about the items that disappeared from her room on the night she was killed. Each is uniquely different, each with its own story and importance. I’ve written about her PJ’s that were never to be found…ever, and if you missed that post it’s here – what happened to her PJ’s . Her valuable jewelry that disappeared also has been touched on in this post – Morgan’s missing jewelry , but that full story is right around the corner as the search of cash for gold stores is wrapped up. There were other items that turned out to be missing as well, but this blog is going to specifically talk about a small card that also went missing the night Morgan was killed. This little fact, that Morgan’s license that she always kept in her wallet was gone, and was never to be seen again after the night she was killed is so important to a proper investigation. Her wallet was right in her room, in her purse, just minus her current driver’s license. We assumed the investigator’s took it, but much later found out they did not. And we know Morgan did not take it, so that leaves only someone else. Another of the many pieces of evidence pointing to an intruder. This fact that we finally discovered gives me the “creeps”. It is considered a common attribute of serial killers, and other criminals, to be “trophy collectors”. Just as trophies are meant as rewards for an accomplishment in the real world, off in the sick and twisted hemispheres of some criminals, a trophy from their victim is thought to mean the same thing to them. And a driver’s license is a very often collected “trophy” to be kept after a victim has been violated, and stripped of all that ever mattered in this world…their life. The FBI considers a murderer to be a serial killer after 3 murders, with a cooling off period between each. Profiling and categorizing serial killers is a voluminous subject with the FBI as they tend to be the only agency with the manpower, and expertise to uncover and prosecute the true depth, and breadth of criminals that have been arrested, and found to have killed again, and then again…. largely discovered by accident. Not every killer is a serial killer, but why would a proper crime scene investigation of a young woman who was found dead under suspicious circumstances not determine if common “trophies” had been taken? Starting with Morgan’s license for instance, even her PJ’s, the last clothes she had been seen wearing would be a natural to check out, undergarments are another choice, and as Morgan was redressed, we know only the undergarments she was wearing after she was found to be dead, not what she was wearing when she went to sleep the night before. Those could have been taken as well, but we do not know. In today’s world there is always the possibility of DNA on any of these items, and it would make sense for a criminal not wanting to get caught to take them with him rather than chance leaving some identifiable trace evidence linking him to the crime. But a search was never even made for any of them. Despite the fact that Morgan’s death was considered to be under “suspicious circumstances” the morning she was found, and despite the fact that investigators were told that when Steve had said goodnight to her the previous evening she was dressed in PJ’s. There was no effort to locate the last item of clothing she had been seen in, and subsequently her PJ’s that were missing went from a red flag to a nothing. See how easy it is to thoroughly botch a crime scene? Same as with her Driver’s license, a simple check of her wallet, and an obvious red flag jumps out, but instead it was a nothing. Besides the evidentiary value that her license holds, Morgan was an organ donor. A status deemed safe, because she had never tested positive for any disease that would preclude her from being one. Morgan had the concern, and foresight to check with her doctor before declaring herself as an organ donor. Her organ donor status was never checked following her death. When she was “officially”, found to have died of natural causes. 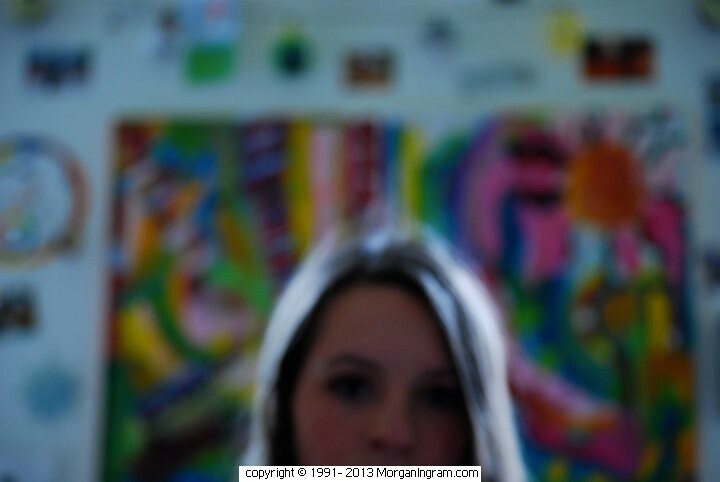 It was yet another slap in the face for Morgan, and her last wishes were denied by the Coroner’s office of Garfield County, and the contracted forensic pathologist the Coroner leaves to run his office. When in reality we now know that Morgan’s blood contained a massive dose of Amitriptyline, which could have easily rendered her organs as unsuitable for donation, but no one knew it at that time. I do know that since it was her wish they should have made an attempt to honor it, or at least discuss with us the reasons why they were not going to honor her wish. Then again maybe in this one instance it was a good thing that someone “dropped the ball”. With a dose so many times over the lethal amount for her body weight, to ever term it “insignificant”, as the contracted pathologist tried, should have red flags waving everywhere, perhaps transplanting her organs would have killed the recipients too. Wouldn’t that have been a twisted way to find out how massive a dose of Amitriptyline our daughter had been given? I am so very relieved that nothing like this came to pass. Justice will come for Morgan. It will take time, and be very tedious. That much is abundantly obvious to us, but we will never give up our quest for justice and we will never give up our efforts to raise awareness and promote change. This entry was posted in Morgan's Investigation and tagged Catching Stalkers, Crime scene, dangers of stalking, Failure under color of law, Ingram Blog, justice for morgan, KDNK radio Carbondale, Morgan Ingram, Morgan ingram blog, Morgan's Truth, Morgans Stalking, Morgan’s killers, Morgan’s Stalkers, Murderers trophies, Organ donor, Protecting Victims, serial killer, The Morgan Ingram Foundation, Toni Ingram, Truth for morgan, victims rights by Toni. Bookmark the permalink. Morgan deserves justice. All stalking victims, deserve justice. You are headed in the right direction, and are continually, uncovering clues. We need people like you and Morgan’s story, to make change happen. Thank you for your posts, inspiration and continual efforts to expose Morgan’s Stalker and the effects stalking has on people. All the major player’s in my stalking will also be held accountable, someday. Because I will have sustained outrage, until that happens. I was born in California, in the United States of America and the muslim man and the muslim wife he lied about, have more rights in the country I was born in. We will all do it Lynn…we will all bring about change. It might not be tomorrow, but it will come soon. Thanks for your comment. I think this is a great new product by Verizon that might help stalking victims and it’s more affordable than other well known home monitoring products making it what could become a norm in the USA like owning a t.v. NO CONTRACT is required either! I hope it comes with a way to record what is happening in or around your home too. Obviously, if your stalker knows how to hack into your account this could be a problem unless Verizon provides for some very good encryption. Wow that is amazing! I hope AT&T offers it soon as well. Thanks for sharing with us. Cell phones (especially smart phones) are the easist device to tap into. I think the technology gives the stalker an advantage. I know from experience. There are also online courses available to anyone, and most likely frequented by stalkers, revealing how to use technology to trace someone. Morgan had an older iPhone that used to be Steve’s – no one ever checked it to see if it had been tapped in to…is there a way for us to tell now? Private investigators have some means to check her phone. Even if they can prove it was tapped into it is difficult to prove who did it. That’s what makes technology so concerning in the wrong hands. Spy tapping can be done in person in 1 minute or remotely by sending a text message. The software is then installed on the phone allowing remote access to her recorded messages, live phone calls, and where she is located. Oh my God that is horrible – I will check into it. Yes, it is a terrible thing. If she posted pictures on FB from her iPhone with her phone’s location services on it attaches a unique identifier to her photo revealing the very location where she is. YouTube has lot of videos showing how this is done. I believe Dateline did a segment on it and it has over a million views. Search under “cell phone tapping” or cell phone spying. I am sorry for your suffering, pain and loss. Thank you for sharing your story about Morgan. Thank you for raising awareness about stalking. I find comfort knowing I am not alone. I have been stalked for nearly a year now and it has deeply affected my children. For security purposes I have not used my real name but I wish to share my story. I am a single mother of two boys (one younger and one older—who is getting married shortly. He moved in with me when things escalated and I am nervous of him leaving. I now carry a gun although I strongly dislike them. My younger son has become comfortable seeing me carry it (although I wish he never had to). I run a consulting firm, work out of my home office when I do not travel. In January we fled at 3AM for safety, stayed in hiding until i could sort things out, and returned a month later to install safety measures for our safety. I wish I could say the $8000 I invested in cameras, private detective, safe room. new locks, etc., was enough but my security system was compromised within a few short weeks. I live on a dead end street that opens up to miles of hillside and flat land full of trees. continued…in the morning I checked the house where I heard the noise and discovered cut up marks (what looked like a hammer or ax) all along the exposed wood beam directly below my bed in the unfinished basement. Up until now I thought I was just imagining things, I was just too tired, it was my neighbors coming home, etc. Everything changed on this day and I started paying more attention. I had the attic checked and hoped to find animal marks but there was nothing. I would wake in the middle of the night to hearing a loud thud and bang from the roof (like a door), followed by loud heavy footsteps that would settle above my bed. My light fixture would pop, sounding like it would fall out of the ceiling so I would move my legs. Then I would hear moaning. Police were called each major incident but nothing was ever done, not even a report filed. My mine year old insisted we had a bad man living in our house and made one officer walk off the basement to witness the water hose and electric wiring pulled four feet out of the ceiling. The officer acted annoyed. He would proceed to tell him stories like the time we watched a movie in our basement and someone tried to open the door adjacent to us. Our garage door would never close when I went to leave (holding us captive) but always open. My older son and nieces would visit and be woken to hearing a man moaning through the vents and walking in the attic. Footprints were foundin the ground and on the roof above my bedroom. The night we fled, a house search was done, nothing was found so the ‘same’ officer who always came did nothing. When my older son and I returned home to gather a few things to take with me for the next month, we discovered he had gone through my drawers and placed a pair of underwear on my kitchen floor and desecrated (poop) blowing through my homes vents. It was very disturbing. We later discovered stains inside the vent. When I returned home a month later he had colored on my walls, cut my phone wires, and changed my shower heads. I know longer shower in my room. He has not been found, police are not helpful until something happens. My attic cameras have turned on catching movement but no real identity yet. For three days my cameras were turned off (the same days I worked from home alone and listened helplessly to my unwanted intruder have free access to my security system. The state sexual offender database shows 7 felons live near my area, one of which was accused of stalking with a weapon. P.I. Try to offer comfort by telling me I will most likely solve my own case due to my diligence. I just hope you keep calling the police EVERY time you hear or see something that you believe is this stalker (stay hyper-vigiland), and keep a really good log, you sound like you have empowered yourself, which is great, but please also contact your local victim’s advocate (check with the District Attorney’s office), and ask for help. Have the police come, see and take the evidence. If they don’t want to then tell them how many times now that you have been affected by this stalker, and that you are afraid for your life…this sounds extremely serious, and yes you could probably solve the mystery of who it is on your own, but you really need the police to catch him or her and press charges, and they need to be involved to help you get a protective order through the court. This is such a horrible thing to have happened to you. I do understand how exhausting and how many details that you could add but it would probably take you hours to explain. Thank you so much for sharing your story here so others could learn from it – so many weird things you would never know to react to. During Morgan’s stalking I never knew someone was on our roof but sometimes at night when the lights were off I would walk into our MB bathroom and turn the light on in there and here a sound of something moving towards the vent way above the toilet up in the ceiling and it freaked me out – I asked Steve what it could be and he always said it was probably a mouse or a bird on the roof, but I should have trusted my gut and searched. Thank you for sharing your wisdom and understanding. As you know it affects every aspect of your life. My son missed school for two weeks, afraid the stalker could enter his school and take him. I missed a month of work. My son is terrified that we will soon be alone again when my older son gets married and moves out shortly. Yes, the activities continue in the attic over the past few weeks. It seems he is getting sloppy and doesn’t care how blatant he is being. It angers me that no one can find him and my son lives in fear. I don’t trust the police as nothing is ever done. I have documented it all for ONE day. Until then we try to live our normal lives with some adjustments. I don’t leave my son home with a sitter, I sleep with a gun, I don’t open my door for anyone I don’t know, and I listen more to my hurt instincts. It’s so easy to second guess yourself because the entire tbing is nutty and evil. For instance, while writing this the fire alarm directly above me went off twice ‘as I was typing about stalker’….the same area where one night before Chrismas. I replaced all my fire alarms since. They are new. The battery only chimed briefly and stopped. A dead battery (mine are new) continue beeping until fixed. Perhaps he’s in my attic now. Who knows. But one thing I know now not to ignore it. He knows I live alone with my son. He’s watched me a long time now and knows my patterns too well. Disturbing. When you endure something like this it’s hard not to question everything. As you have discovered there is apt of incompetence, complacency and laziness in the legal system. Close friends of mine speculate this officer may not be as trustworthy as originally thought and that is why we feel uneasy around him. Regardless, it’s hard to call police when he is the only one who comes. I also live on a dead end street and every time the police come all the neighbors inquire. I have been reluctant to tell many in fear of being isolated by others. What mother would want her child to play here knowing our stalker is not found? How does my younger son live a ‘normal’ life if he is not allowed to play with others. I am surely taking every precaution and restricting play time when I am home and in the daylight. I am also in the public as a public speaker so I use social media for business. My where abouts and activities are known by all—-although I restrict how much. I support my family with my business so moving is not an option. As the P.I. told me, someone as sick as this will find me any way. I am calm, aware, and cautious. I know the time this does come to a head I will be motivated beyond fear to protect myself and my son. Thank you for exposing the secrecy of stalking. I am finding it is more common, unfortunately. It can last for years I am told. Staying mentally tough is important. Many are highly sophiscsted with technology. Yes, I have only shared a few of my experiences. Too manyto mention.as sad as it may sound, I took comfort knowing my older son has heard him in the vent and has been woken many times ready to defend. I’ve always said he has an entry/exit from the attic or roof and travels on foot. Thank you for listening and allowing me to share. It is a heavy burden to carry. If there’s one thing I’ve leaned, error on the side of caution, not assumption. Trust your instincts. You know your house better than anyone. Don’t let others define what is or is not happening. I had all my children and older nieces who lived with me all tell me something was not right and ignored it. Thankfully I am listening now and have been able to keep us safe. The Gift of Fear is another excellent read full of life saving insights that all women should read. It is written by a detective who had worked on murder or near-murder cases, operates an investigative practice out of LA, helps the government, and teaches women to trust their instincts through real life experiences told by other women. Thank you for the tip ill look into it. It can be a full time job to stay on top of the stalker situation. Running my company and supporting my children limits my time. Regarding the cop untold you about, when he came to take the fingerprint he asked me who my son was and how long he will be here. Odd. Very odd. One point of clarification, only the neighborhood friends whose parents know my situation play at our house. Initially I did tv think it was wise but they insisted suggesting it would help my son and I return to normalcy. I also want you to know that I found your blog when I googled attic stalker (something I had never thought of before now). When I am woken in the middle of the night and can’t sleep, I read your blog. It keeps me out of the state of denial (easy to want to pretend it all away) and gives me strength knowing I am not alone……I am not the only one living through it. I have nodded my head in agreement many times with the statements you made. Your reaction (and Steve’s) echo mine. I shared your story with others who have not experienced a stalker situation and they seem to listen more openly. We tend not to believe or trust ourselves without some physical evidence. I have only seen my stalker once (that i know of) at night. A 5’10 – 6’1 man wearing Dark pants and hoody over his head is all I can go by. A few days ago I received a phone call on my petsonal cell phone from an unrecognized number while laying in bed early in the morning. The man told me to call him back in a strange voice than slurred my name really slowly before hanging up. He never shared his name or number on my vmail. I receive text messages while laying in bed in the morning saying strange things. My gut tells me it is him. It’s easy to buy a track phone and hide your identity. I also wanted to tell you that I was told by my security company that someone withenough technology experience can tap into or access your security system on site and tamper with your camera, use a snake camera through vents, or install listening devices through outlets. The technology options are endless and dangerous in the wrong hands. It’s possible Morgan’s stalker evaded you by using one of the many techniques. There is no way you would have known let alone know way to detect it. As quickly as you can install a detector they can remove it and reinstall it. I learned this while working with my P.I. A woman’s intuition however, is the most powerful force. Stay strong! Keep up the fight! Wishing you and your family resolution and peace. Thank you so much for the information and support. I hope everything works out for you and you and your son stay safe. It is such a horrible thing to always be on guard and it’s so easy to not want to believe it is really happening. Agreed, too easy to live in denial. After all who wants to live on guard all the time. Life is challenging enough without the drama. It’s exhausting and mentally draining. Please excuse all the typos. I am writing from my phone and there is a delay in between each letter I type. Have you ever thought about going directly to the police department while out and about and talk to his superior to see if he is on the up and up? File a complaint? Or ask for copies of your police reports? I would definitely start looking into this cop a little more. Are you asking Kathy that question? It’s a good question – if action isn’t taken (I know from experience now) you need to go up the chain of command. Yes I was asking Kathy that question. Knowing all this is obviously going on inside her house it concerns me that she would still be living there with her child. I know picking up and moving isn’t always an easy thing to do but even sleeping with a gun is not going to save you while you are snoozing and may or may not have someone standing over you watching and possibly preparing to strike out. Very true – she needs to have help from someone. If she could move (even temporarily) somewhere that her and her child will be protected while this stalker is hunted down by law enforcement that would be the best scenario. I am hoping to promote an idea a friend of my mentioned which is to have a prototype safe house design that people can have all over the country where people like Kathy or our daughter Morgan could go to with their children, animals, livestock if necessary on a moments notice in order to save their lives. In the meantime Kathy if you could try to contact a women’s safe house close by that might be one solution. I applaude you – stay safe! Demand that you see his report and ask him to help you write up a report about the same incident. We’ll do. I need to stop fearing being harassed or ignored by this cop. I also need to put my ego aside and stop caring so much what others in the legal system thinks of me. Too many don’t share their stories in fear of not being believed or thought to be unstable or paranoid. Me too at times—-even with five other witnesses, tangible evidence, etc.. No one wants to believe this stuff happens but it does. If you both get a bad “vibe” then please go in to the DA’s office and explain what is happening. I just finished reading a true story (someone sent me a text and told me I should read it) the book is called “Murdered” (Unabridged) by Paul Alexander https://itun.es/us/Q9flM and it is a true story about a murder that took place in Los Angeles that turned in to a sensational trial 20+ years later and that story will explain why you need to trust your “vibe” your natural instincts will never fail you.